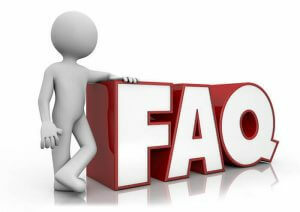 The Isotherm FAQ page is to answer some of the most commonly asked questions over the years. If you have a question please let us know. How does Isotherm insulation improve the temperature in my home in summer? In summer Isotherm insulation will stop the heat flow from the roof area into the home. The ceiling is so hot that it is like underfloor heating above your head. Therefore when insulated the radiant heat is stopped. How will Isotherm improve the temperature in my home in winter? By the same token energy in the home needs to be retained. The cold roof space will draw all the warm air created in the house. The Ceiling is cold from the airflow through the roof. Therefore the rising heat inside will be pulled from the ceiling and lost. Thirdly if heating is utilised the benefits will be high as energy will be retained. With the strong winds in Cape Town will Isotherm insulation be blown around in my roof? Isotherm insulation is roll form insulation and must be cut wider, than the beams. Therefore the insulation will fit snuggly between the rafters it is not loose fibre type insulation. 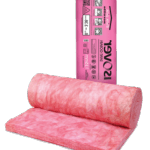 How does Isotherm insulation save me money? 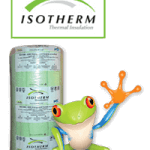 Isotherm insulation will save you money by saving on energy bills. For this reason, cooling costs and heating costs will be reduced. This will keep the heat out in summer and keep the cold out in winter. Therefore you will cut the effect of the temperature in the roof radiating into your home. Through a thin rhino board ceiling and you save the heat in your home in winter from rising and getting sucked through the roof space into the cold roof. Roof insulation is compulsory as of January 2013. However, it is not compulsory on existing building or homes. It would be advisable to install Isotherm insulation as it will make your home SANS compliant if you install the correct thickness insulation. And it will save money and energy. Do you have to remove tiles on my roof to install Isotherm insulation? Not all Isotherm insulation is in a roll form, and it will go through the trap door. We do not disturb your tiles or plastic underlay. However, we do lift sheeting or tiles on flat roofs as there is no entry. In fact, many homes with bar rooms will be insulated this way. Does Isotherm insulation make a lot of dust in my home when installed? Isotherm is almost dust free. As a result, this has made the product so popular. The home is left as it was when our installers leave. Is Isotherm insulation a health risk? There is no known health risk with Isotherm Insulation. 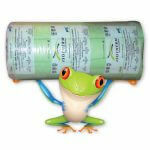 Of course, this insulation is manufactured, from recycled PET bottles. (plastic bottles) The Roof Insulation feels like a soft duvet just much thicker at 145 mm. 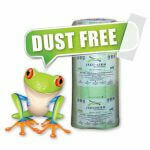 Isotherm is not only dust free it is also ALLERGY FREE. Can my geyser and pipes in my roof be insulated with Isotherm insulation and will it save me money? Your geyser in your roof can be insulated. In fact the hot water pipes as well. Retaining the hot water in the geyser, for longer. 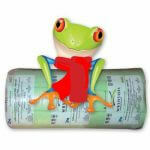 Also by wrapping the hot water pipes, you will keep the hot water in the tubes for longer. Saving on electricity, this means more money in the pocket. 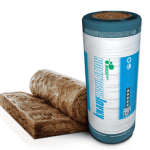 In fact, Isotherm insulation is eco-friendly as it is made from recycled plastic bottles and is recyclable itself. 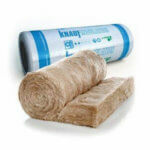 Regarded as one of the most eco-friendly insulation types on the market. Can the insulation be installed as a DIY project? We supply many homeowners who are fit enough to tackle the task. We also offer online support for those who want to give it a bash. We have specific roles, manufactured for tilled rows and Sheeting roofs, so there is no cutting. Where can I get Isotherm? You found us. Installers and distributors of Isotherm in the Cape region.